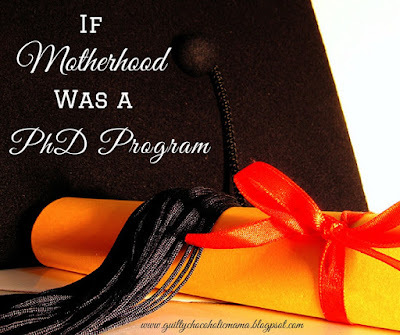 When my first baby was in preschool, my husband and I agonized over when to start her in kindergarten. Okay, fine: I agonized. My husband rarely agonizes over anything. He is Mr. Calm-and-Steady to my reactionary nut-job self. But the point is, there was agonizing. Our daughter’s fall birthday put her right on the line for starting before she’d even turned five or waiting until she was almost six. We went back and forth. We weighed pros and cons. I cornered teachers who went to our church and asked for their expert opinions. I was convinced we were staring down The Right Door and The Door That Would Ruin Our Daughter’s Life. What if we picked the wrong door? Happily, our second daughter made the decision for us before she was even born by having a due date that was pretty much the same day as her big sister could have started kindergarten as a young five. Since I couldn’t handle two epic life events in the same day and baby girl REALLY needed to be born, we waited on kindergarten. And of course quickly figured out that both doors had pros and cons behind them and that it was our job to make the best decision we could at the time, open that door, and walk through it. My point (and I do have one) is that one of the blessings of being a mom with some mileage on her is that I can look back and see what really ended up mattering in the overall scheme of things and what I could have saved myself (and, ahem, my family) a lot of agony about. It didn’t matter, for instance, that we default-decided when to send our first child to kindergarten. It did matter, as it turned out, that once she started school, we tried our best to support and encourage her and to do what we could to help her be a successful student all the way through. It didn't matter that I never got around to sending my kids to summer camp. It did matter that we filled their summers with other moments they cherish to this day: camping with grandparents and trips to a family cottage on a lake and time spent building lasting relationships with cousins from out-of-state. It didn't matter that the hula girl cake for my oldest daughter's eighth birthday party looked like part sumo wrestler and part alien but almost no hula girl. 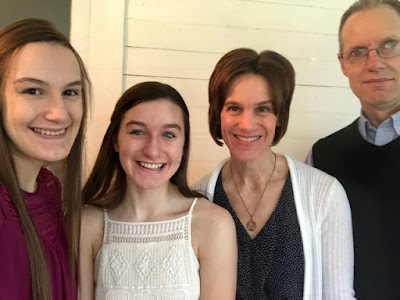 It did matter that we tried to make the birthday person in our house feel cherished and celebrated on their big day, even if “all” we did was spend the day together. It didn't matter that my house was never particularly clean. It did matter that it was home. It didn't matter that Sunday mornings almost always felt like a war zone and that it seemed we never liked each other less as a family than at that time of the week. 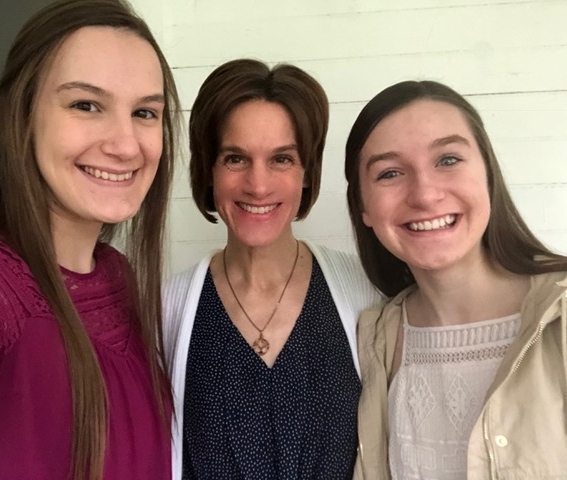 It did matter that we got our girls and ourselves to church almost every Sunday—not so we could force-feed them our faith but so that they could find their own faith. It didn't matter that we never took elaborate vacations or had lavish Christmases. It did matter that we spent time together as a family, doing simple things that turned into sweet memories. It didn't matter that I often didn’t know how or what to pray for my children. It did matter that I did pray for them, even if it was just, “PLEASE, God! !” (Which it often was. I'm banking on the truth of this quote from Max Lucado: "Since the power of prayer is in the One who hears it and not in the one who says it, our prayers do make a difference." And it didn’t matter (thank goodness) that I am a wildly imperfect mom. 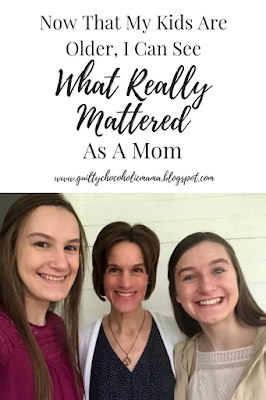 What mattered—and what matters still—is that my children know I love them wildly (if imperfectly) and that they know they matter to me, always and forever. 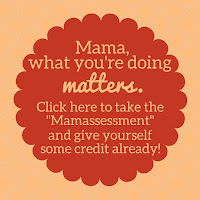 Okay, mama…now it’s your turn! What matters to you and your sweet ones? And for that matter, what doesn’t? I'd love to have you share about it in a comment or over on my Facebook page. My 30th high school class reunion came and went recently. I didn't go for lots reasons I won't bore you with here (chief among them: that whole "leave the house and talk to people" thing), but if I had gone, I know I would have needed to have been ready to answer The Question. The Question is tricky, because into it I read a deeper one: "who are you?" Who I am, in large part, is a wife, mom, and homemaker. I am other things, too—school volunteer, Bible study facilitator, church worship team member—but these are the big three. 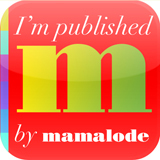 What I do, in large part, is take care of my husband, our children, and our home. I do other things, too, but again, these are the big three. I don't have another answer to The Question. I can't say that I'm a teacher or engineer or nurse or administrative assistant or electrician (though I wish I could on that last one, because this old farmhouse sure could use some new wiring).